Karen Thompson Walker’s first novel, The Age of Miracles, was my favourite book of 2013. I adored that book so much. It’s mood, tone, and intriguing premise stayed with me. Needless to say that when I saw that she finally had a second novel out, I had to read it. The premise of the The Dreamers is maybe not as intriguing as the apocalyptic premise of The Age of Miracles, but it’s still interesting. In a small college town in Southern California, a girl falls asleep and doesn’t wake up anymore. Soon there’s another one and then another one until there’s an epidemic. The city gets cordoned off. Nobody can enter, nobody can get out. More and more people fall asleep and don’t wake up. They all have one thing in common—they seem to be dreaming constantly. When the first girl dies, people get even more alarmed. The hospital is flooded and many of the staff fall asleep as well. Soon there are almost more sleepers than people awake and many of the sleepers die. Unlike her first book, this one is told from multiple perspectives. The main characters are – two small girls whose father’s a survivalist, two college kids, a psychiatrist from out-of-town, and a husband and wife with a tiny baby. It was interesting to see the story told from many angles but unfortunately, it also meant it didn’t have the impact of The Age of Miracles. There was no specific tone or mood, just good-story telling. I definitely wanted to know why they fell asleep and what would become of them. Once I finished it, I had to admit I felt underwhelmed. I thought at first that it was because my expectations were too high but then I realized that it reminded me too much of Camus’ La peste. It’s possible that this is just an unfortunate coincidence, but it’s equally possible she meant this as some sort of retelling. I didn’t read any other reviews or author interviews, so I have no idea. Unfortunately, for her, it’s hard to compete with Camus. That said, I’m sure many people will love this as it explores a topic we’re all, to some extent, afraid of – the outbreak of an epidemic. Her approach isn’t personal but social. She explores how fear affects people. She looks at the moral choices people make to either save themselves or help others. Worry, she reminds her patients, is a kind of creativity. Fear is an act of the imagination. Seeing how people react to this unknown, contagious, and potentially life-threatening affliction illustrates the quote. People’s behaviour depends so much on what they imagine will happen. The book also does ask some universal questions about illness and morality. There are so many who fall asleep and need help that, after a while, those still in good shape have to make choices who they will help. Someone they know? A younger child instead of an older person? Randomly? And what about pets – once food gets scarce inside of the city, should they still be fed? Given the title, which isn’t The Sleepers but The Dreamers, it’s not surprising that the nature of reality is another important theme. How do we really know we’re awake when sometimes dreams are so vivid we can’t tell we’re sleeping? While I was a bit disappointed, expecting something with a similar tone and mood to her first novel, and because it reminded me of Camus, I still found this a compelling book. Her writing flows so well and the pace and structure are very balanced. And there are so many topical themes that make it ideal for a discussion group. I’m so annoyed with myself. I have three or four unread books by Toni Morrison on my piles but instead of reading those, I went and bought her latest, God Help the Child. That wouldn’t be a problem if this was a good book but it’s not. It’s so flawed, it could be a beginner’s novel. And the style? Well, when you pick a Toni Morrison novel, you expect it to be challenging. You don’t expect it to be bland mainstream, with descriptions like “the sky was baby-blue”. Honestly, what went wrong? The book’s premise had so much promise. The blurb said it’s a book about the way parents damage their children and the repercussions this has later in their life, but somehow that’s not really what it is about. The book doesn’t really take this theme seriously. Maybe because it’s about so many other topics— race, skin color, trust, self-esteem, child abuse. When the main character Bride is born, her mother rejects her immediately because of her black skin. Nobody in Bride’s family is this blue-black. In fact, they are so light, some of them did pass as white. Her mother, too, could, if she wanted, pass as white. Bride’s father is so shocked that he leaves her mother. He can’t imagine that two rather fair African-Americans could be the parents of such a black child. Of course, he suspects she was unfaithful. Bride grows up as an outsider and only later, in her twenties, is she able to embrace her skin color and discover her beauty. She even learns how to underline it by wearing only white. At the age of twenty-two, she’s a successful executive at a cosmetic company, ready to launch her own beauty line. While she’s still fighting for her mother’s love, she’s also happy about her success and her beautiful lover, Booker, until the day she tells him something and he leaves her without an explanation. The reader learns that Booker’s reaction has something to do with Bride’s idea of helping a woman who was convicted for child abuse. I will stop here as the book basically is about why Bride does what she does and why this makes Booker flee. Both reasons are tied to the protagonists’ childhood. 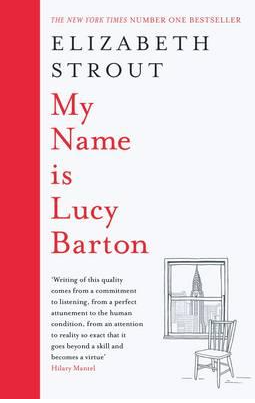 For such a slim novel – under 180 pages – it has just too many themes. While some are really well done, especially all those linked to colorism, others didn’t get the depth they would have deserved. It isn’t fully explored what being rejected by her mother really meant for Bride. She does something cruel to gain her mother’s love and this affects her, but there doesn’t seem any real and deep damage. This struck me as odd. What also struck me as odd was the number of child molesters we come across in this book. This too is such a serious problem, but it just didn’t get the careful treatment it would have deserved. I’m really disappointed and wish I hadn’t bothered with this book. At the same time, I find colorism such an important topic, that I liked the book for that. I’m glad this wasn’t my first Toni Morrison. It would have been my last. I’d rather read some bestseller than something that is written like a mainstream novel but saddled with heavy, carelessly treated themes. Don’t read this unless you’re a Toni Morrison fan and want to read everything she’s ever written. That said, I think she’s a terrific author and I’ll be reading more of her. Let’s just hope this was a one-off. Have you read Toni Morrison? 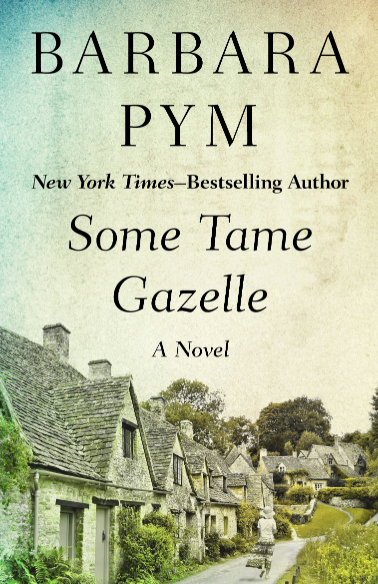 Which of her novels do you consider must-reads? 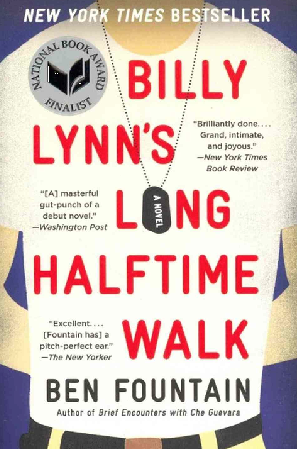 Next up in the Literature and War Readalong 2016 is Ben Fountain’s novel on the war in Iraq Billy Lynn’s Long Halftime Walk. Billy Lynn is Ben Fountain’s first novel. Before that he was mostly known as a short story writer. Many of his stories were published in prestigious magazines and received prizes (the O.Henry and Pushcart among others). A lot of people who already read this novel, told me how much they liked it. If I’m not mistaken, the book is set in the States and not in Iraq. It’s neither a war zone story, nor a home front story but a story of soldiers who are back home to celebrate a victory, before they will be shipped out again. The men of Bravo are not cold. It’s a chilly and windwhipped Thanksgiving Day with sleet and freezing rain forecast for late afternoon, but Bravo is nicely blazed on Jack and Cokes thanks to the epic crawl of game-day traffic and limo’s mini bar. Five drinks in forty minutes is probably pushing it, but Billy needs some refreshment after the hotel lobby, where over caffeinated tag teams of grateful citizens trampolined right down the middle of his hangover. The discussion starts on Friday, 30 September 2016. 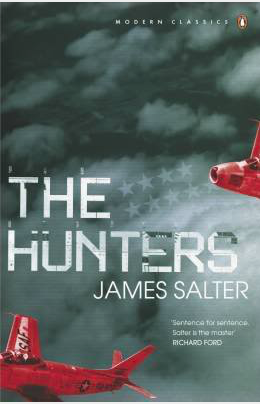 James Salter’s The Hunters is this month’s Literature and War Readalong title. It’s the first novel about the Korean war that we’re reading in the read along. I’ve been keen on reading James Salter for ages as he’s always mentioned as one of the greatest US writers. Published in 1956, The Hunters was Salter’s first novel. Until the publication of this novel, Salter was a career officer and pilot in the US Air Force. He served during the Korean war where he flew over 100 combat missions. This was certainly the reason why he chose to write about a fighter pilot in his first novel. The novel has been made into a movie starring Robert Mitchum and Robert Wagner. James Salter died last June in Sag Harbor, New York. A winter night, black and frozen, was moving over Japan, over the choppy waters to the east, over the rugged floating islands, all the cities and towns, the small houses, the bitter streets. Cleve stood at the window, looking out. Dusk had arrived, and he felt a numb lethargy. Full animation had not yet returned to him. It seemed that everybody had gone somewhere while he had been asleep. The room was empty. He leaned forward slightly and allowed the pane to touch the tip of his nose. It was cold but benign. A circle of condensation formed quickly about the spot. He exhaled a few times through his mouth and made it larger. After a while he stepped back from the window. He hesitated, and then traced the letters C M C in the damp translucence. The discussion starts on Tuesday, 31 May 2016. Admittedly, this was a bit of an experimental choice for the Literature and War Readalong, but since this year is mostly dedicated to WWI, I thought some diversity would be nice. So why not read a fantasy novel dealing with the aftermath of the war? 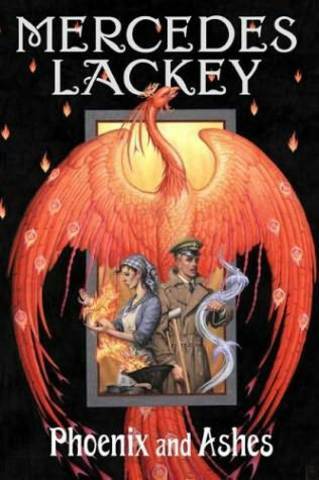 Mercedes Lackey is one of the most prolific fantasy writers and has a huge following. Phoenix and Ashes is part of the Elemental Masters series. The books in the series are all fairy tale retellings, set in the early 1900s. 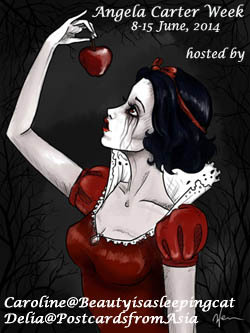 Phoenix and Ashes is based on Cinderella. There are ten volumes in the series so far. If you’d like to find out more about Mercedes Lackey— here’s the link to her website. Her eyes were so sore and swollen from weeping that she thought she should have no tears left at all. She was so tired that she couldn’t keep her mind focused on anything; it flitted from one thought to another, no matter how she tried to concentrate. One kept recurring, in a never-ending refrain of lament. What am I doing here? I should be at Oxford. Eleanor Robinson rested her aching head against the cold, wet glass of the tiny window in the twilight gloom of her attic bedroom. With an effort, she closed her sore, tired eyes, as her shoulders hunched inside an old woollen shawl. The bleak December weather had turned rotten and rainy, utterly un-Christmas-like. Not that she cared about Christmas. The discussion starts on Friday, 31 October 2014. The books I enjoy the most connect me to something inside of me which is elusive and hard to reach because it deals with those fleeting feelings that are hard to put into words, those emotions which escape before we can describe them. Glaciers is a book like that. It has a dreamlike quality but at the same time the descriptions are crispy-fresh, delicate but with sharp contours; the writing is cool but never cold, fragrant but not overpowering. 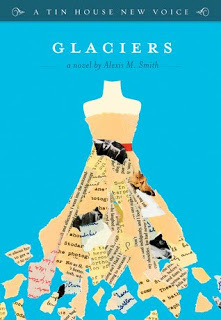 I hadn’t heard of Alexis M Smith before reading the review of Glaciers on Litlove’s blog (here). Smith is one of the Tin House New Voices and since Tin House is the only magazine I read regularly I was particularly keen to discover this author. We follow her through a whole day, see her small rituals at work, her love for vintage clothes and postcards, her dreamlike states in which she imagines another life for herself and for other people. She’s in love with Stoke but he doesn’t seem to love her back. She meets her best friend Leo and they spend an evening at a party with quirky artists and actors and they all tell each other stories. In a few flashbacks we learn about Isabelle’s past, her family, her passions, her fears. In only one day Isabelle experiences more emotions than many people in months. There is happiness and love, despair and disappointment, hope and elation, fun and routine. And stories, stories, stories. I’ve read similar stories but what really makes Glaciers stand out is the writing. Smith uses almost no conjunctions, the sentences are stripped of anything superfluous but it still feels colourful, albeit in a gauzy kind of way. It’s the bookish equivalent of cherry blossoms. Am I making any sense? Be it as it may, I really hope many of you are going to read this little marvel and will enjoy it as much as I did.